Yesterday was a very nice day for me as it provided me the opportunity to teach a man that I have known and respected since I started by business how to sharpen, beyond the basics. 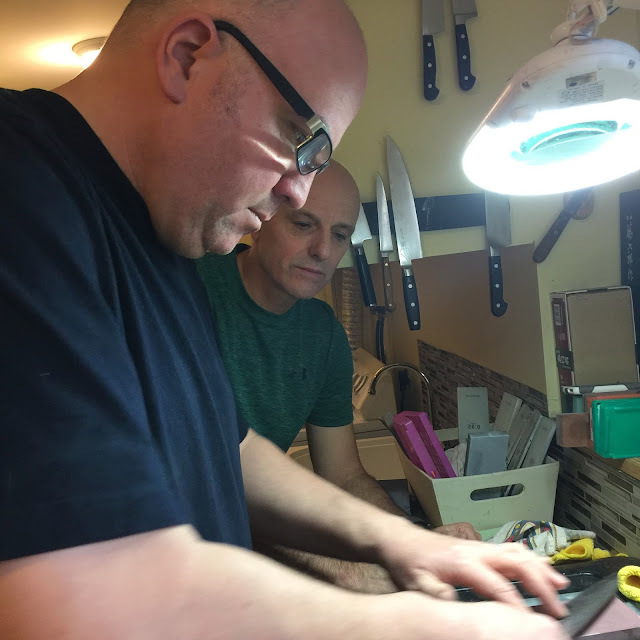 When I started up my business in 2011, one of the first things I tried to do was to attain the respect of some of the local Chefs in the area, this to me was key in growing my business and it would also put me in touch with other Chefs, restaurants....more knives basically. However, that was much easier said then done. Just having face time with the Executive Chef of a restaurant is a major hurdle to climb over. Until then I had little knowledge of the culinary industry, I just saw it as a continuous source of knives and income for me. Also, these folks didn't know me, so why would they trust their knives to a stranger and why the hell would they take 10 minutes out of their 14 hour day to talk to me? 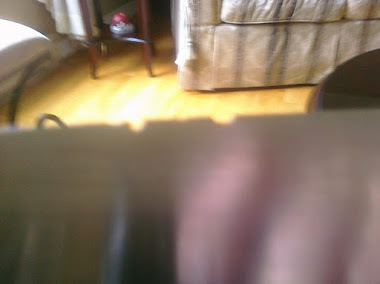 This is what I was dealing with and I was okay with that but I was determined as well, I knew that if I just got the opportunity to sharpen one of his knives then I would be in. That is how I felt, I was confident. I got lucky, very lucky. In the meantime, I had already proven myself to the manager of a major kitchen store here so I was getting customers through that store which became and still is, a drop off/pick up point. A lady that I sharpened for told her friend, a retired sailor who is Chef about me. He was starting up his own gourmet hamburger restaurant called Cheese Curds. (Now he owns several of them, he is doing fantastic). 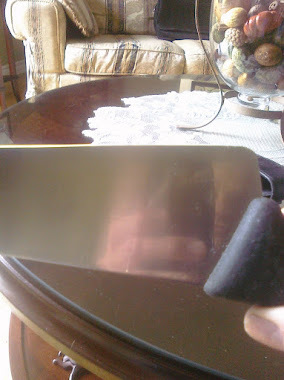 The Chef contacted me and asked me to sharpen for his new restaurant, once I had passed the test of course, once I had run the gauntlet and proven to him that I could sharpen. I did that and low and behold, his good friend is Chef Craig Flinn so the next thing you know I was running the ultimate test (at that time) and proving myself to Craig. That was five or six years ago and I sharpened for him many many times but I always encouraged him to learn to sharpen himself, I mean beyond the basics. So yesterday he finally took 3 hours out of his extremely hectic life and had an absolute blast. 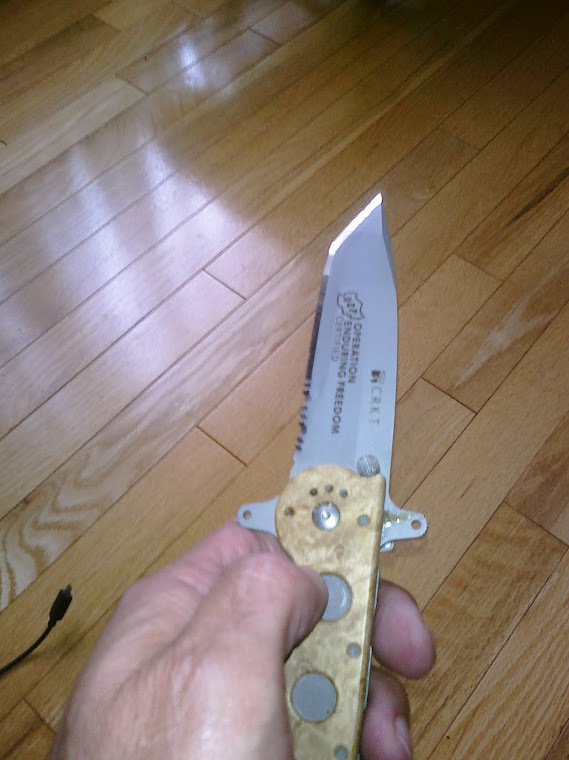 He was thrilled with his Fujiwara when he was finished. I really learned to respect people in the industry, I have seen many many times how frantic their life can be. Chef Craig told me when he was stressed, just through normal business, we have all been there I know but he told me if he had to go cook something when he was feeling that way, if he was using a dull knife, it just made it so much worse. I have heard this from other chefs as well. How having sharp knives in the pro kitchen can reduce stress and increase morale. Nowadays I don't sharpen for many restaurants, I found that in some cases, the inability of some folks to understand edge retention just made it disheartening for me. I just prefer to sharpen for the Executive Chefs and for folks who just get it. The goal that I used to have of gaining the trust of the Chefs in the area has changed. I have been around long enough, proven myself over and over so I no longer seek them out, they know where I am. It is the home chefs and just regular folks, the folks that have been supporting me for years now that I really appreciate.